At MYNA I feel like I fit in, I belong. 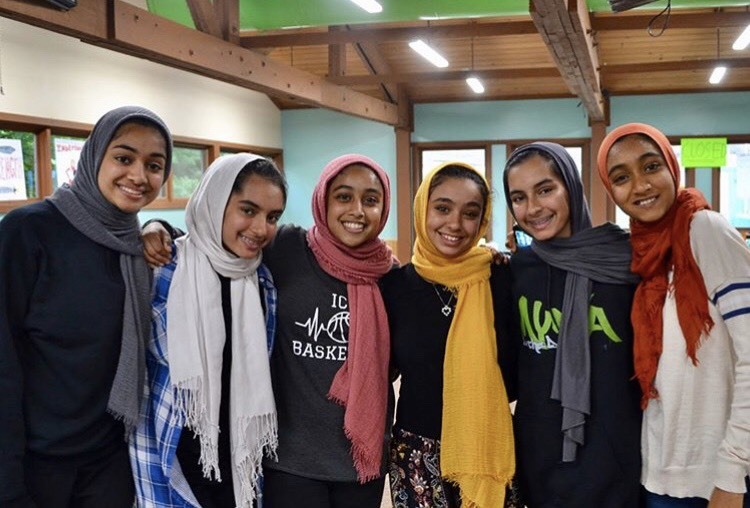 There’s no struggle to find that group of people you fit in with because we are all there for the same purpose: we all want to take a week to be the best Muslims we can be. We all want to get closer to our creator. We all want to learn more about our deen. At my first camp I was worried I wouldn’t find that group of people I would fit in with. I was so wrong. I quickly realized that I would be able to get along with everyone. Now, each camp I go to, I look forward to reconnecting with those friends I’ve made. I also get excited to meet new people. I never thought that one day I would have friends who live in different states. I live in a small town in Indiana and now I have friends in Illinois, Wisconsin, Michigan and even Ohio. Everyone always says that the thing that brings them back to MYNA is the people. I couldn’t agree more. There’s something about getting to know people while being at a camp that focuses on our religion that is so satisfying. It is so easy to click with people at MYNA. I try to get to know people on day one of camp. That way we spend the rest of the week getting to know each other and helping each other be the Muslims we can be. I didn’t know what it meant to love someone for the sake of Allah until I went to MYNA. I am truly grateful for the people MYNA has brought into my life. Alhamdulilah for everything.